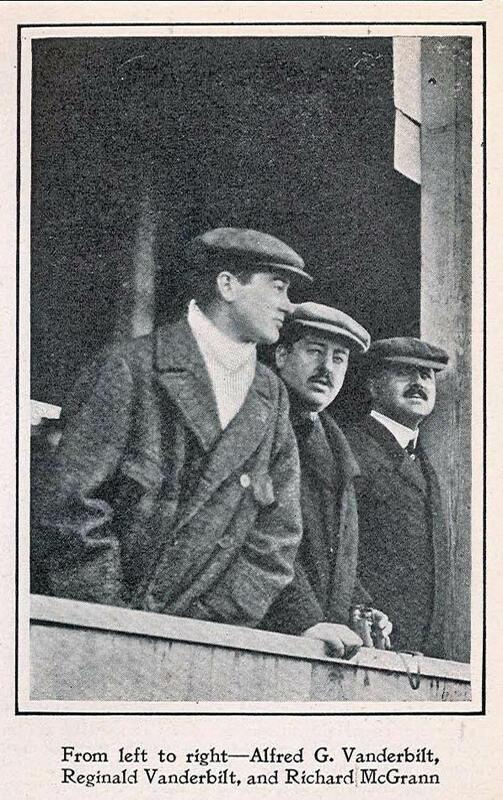 Identify these four spectators (from left to right) who are watching the 1909 Vanderbilt Cup Race from the Hempstead Plains grandstand. Hints may be provided throughout the weekend. 11:25 AM Friday Hint: The man on the far right owned a race car that ran in the Vanderbilt Cup Races. 8:30 PM Friday Hint: The woman second from the left was the great-great-granddaughter of Thomas Jefferson . 11:00 AM Saturday Hint: The man on the left was a champion polo player. 12:00 PM Sunday Hint: The woman third from the left "fancied horses" and was married to an inventor. 9:30 PM Sunday Hint: The woman second from the left was a tennis champion. 2:45 PM Monday Hint: The man on the far right was related to Willie K.
Congrats to Greg O. and Art Kleiner (see Kleiner's Korner) for correctly identifying all four spectators. A versatile, all around athlete, Lawrence "Larry" Waterbury was a competitor with an insatiable appetite. A ten-goaler and a member of The Big Four, polo's undefeated international team, he helped usher in an era of a new style of aggressive and fast polo that dethroned Great Britain's supremacy. A daring rider and brilliant hitter, Larry was known for his accurate passing game in the front of a team, yet his reputation as a back was equally formidable. He is the only one in the history of the Westchester Cup to have played all four positions. 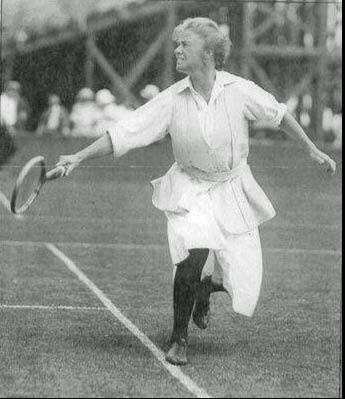 In addition to five Westchester Cup victories between 1909 and 1914, he won the first US Open Championship and seven Senior titles. 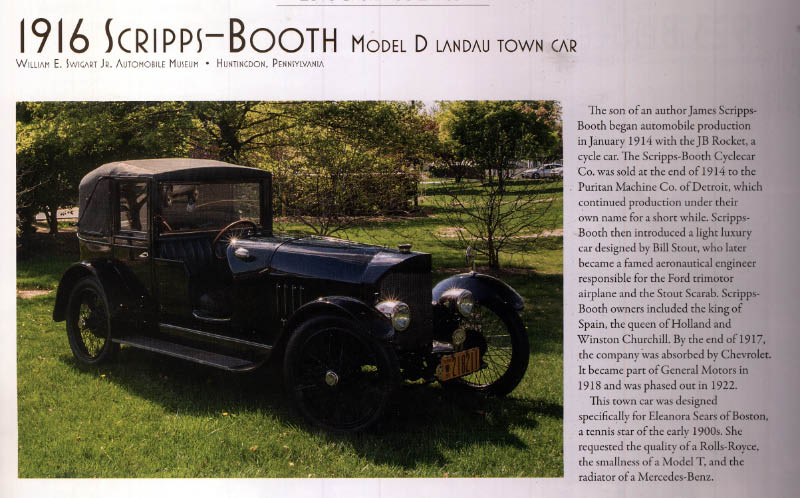 Eleonora Sears' 1916 Scripp-Booth Model D Landau Town Car was recently displyed at the Elegance at Hershey. Mrs. Richard McGrann attended the 1909 race with her husband Richard McGrann of Lancaster, PA. In 1909 McGrann applied for a patent on a unique medicine bottle. According to Brooklyn Life, Mrs. Richard McGrann "fancied horses." New York Times, November 7, 1909. I would say Ava Belmont Vanderbilt is the woman on the left side of the photo. The guy directly to her left is definitely Sean Connery. I could wait until the first hint, but I’ll give it a guess. The couple could be Alice and John Ramsey. 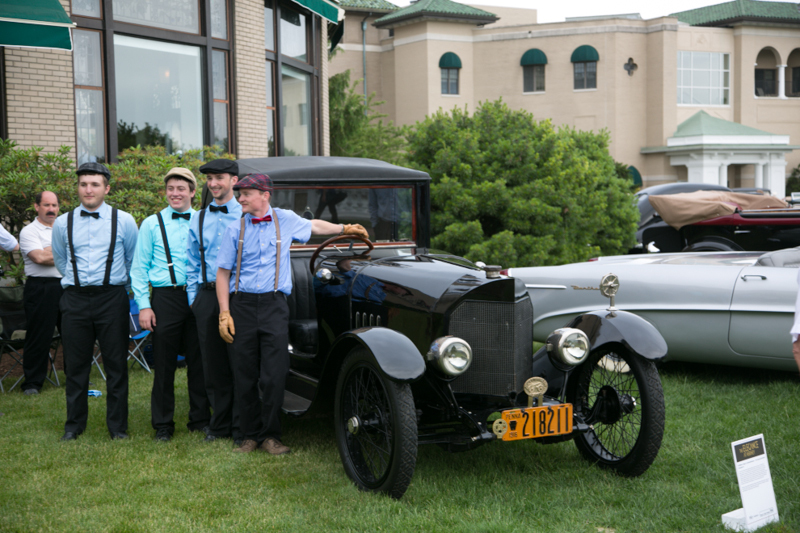 Alice Ramsey, a keen motorist, had accomplished her transcontinental tour not long before, and she could well have been a guest of honor during the event. So, I’ll await the hints and if it appears that I’m wrong I’ll give it another try! Ok, this is my second attempt. 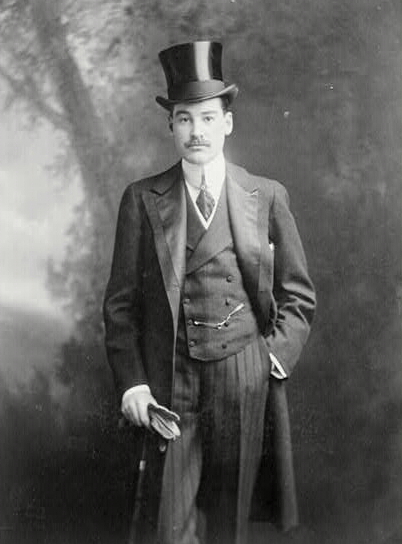 If I read polo player, I must immediately think of Foxhall Keene, sportsman, polo player and participant in the Vanderbilt Cup race of 1905. The man who owned racing cars was Alfred G. Vanderbilt. And finally the woman in the middle: Eleonora Randolph Sears, great great grand-daughter of Thomas Jefferson, famous tennis player, and dating Harold Stirling Vanderbilt, third child and second son of William K.. Here are my guesses from left to right: Foxhall Keene, Alice Ramsey, Eleanora Sears, and no guess for the car owner. Going for 3 out of 4. Alice Hulsey Ramsey was the first woman to drive across the U.S. (1909). Hope all is well there. Still working on the Holcomb/Knox project here. Very interesting. Enjoying the Mustang adventures. You’re never bored, are you. I’m guessing that the woman (third from left) could be Mrs. Belmont—not really sure of the others. I guess this is my final answer, so my previous answers can be discarded. I must admit this was one of the most challenging mystery photos till now, which without hints would have been impossible for me to solve. Even now I’m not 100% sure about my answers, but they are all either a Vanderbilt or directly related to them, which makes sense. The advantage was that I’ve met a lot of new people from the era, which was an interesting and refreshing experience. When I read polo player, my first thought was Foxhall Keene. 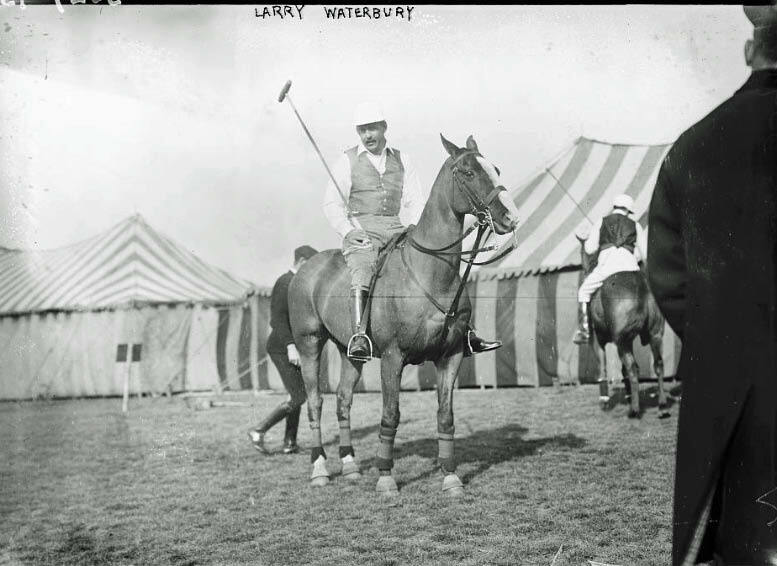 However more likely is that the man on the left is Harry Payne Whitney, who was also an avid polo-player. Moreover he married Gertrude Vanderbilt, the great-granddaughter of the Commodore. The man who owned racing cars was Alfred Gwynne Vanderbilt. The woman on the left: Eleonora Randolph Sears, great great grand-daughter of Thomas Jefferson, famous tennis player, and dating Harold Stirling Vanderbilt, third child and second son of William K..
First I thought that the woman with the veil had to be Margaret Emerson (daughter of inventor Isaac E Emerson). Alfred G. Vanderbilt would marry her in 1911, having been divorced in 1908 from his first wife Ellen French. Margaret Emerson had inherited a race horse stable from her father, which she would give later to her son Alfred Gwynne Vanderbilt II. As stated however, Margaret Emerson is the inventor’s daughter, so my guess is then that the woman with the veil is her mother, Emily Askew. Hi all.I have a few minutes now, while waiting for a delivery to come.This certainly was a challenging one without the hints.All is well here,very slow process,trying to get the place the way we want it.Still unpacking boxes.Weather been hot 90 to 102,not much rain.Be in touch whenever I get chance.